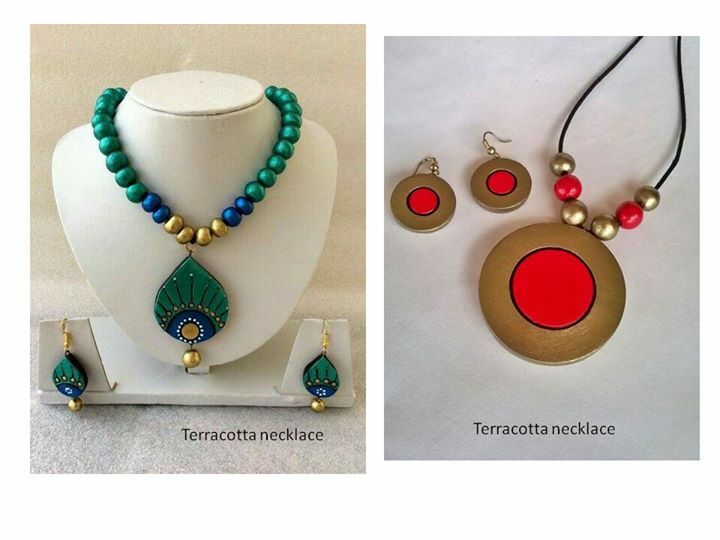 Typically the classes will be learning to make the different parts of the Terracotta jewellery like the stick pins, U pins, stick beads, U pin beads, hole beads, Jumkha, studs, pendants etc which will be held in the morning session and the post lunch session will have the painting, assembling, finishing. However, if full day session is not feasible for students, the same can be done on 2 days in the morning sessions only. Sets of Jhumkhas,pendants and studs( pre-fired) after painting and assembly apart from the post fired ready jhumkhas, studs and pendants they make in the class.